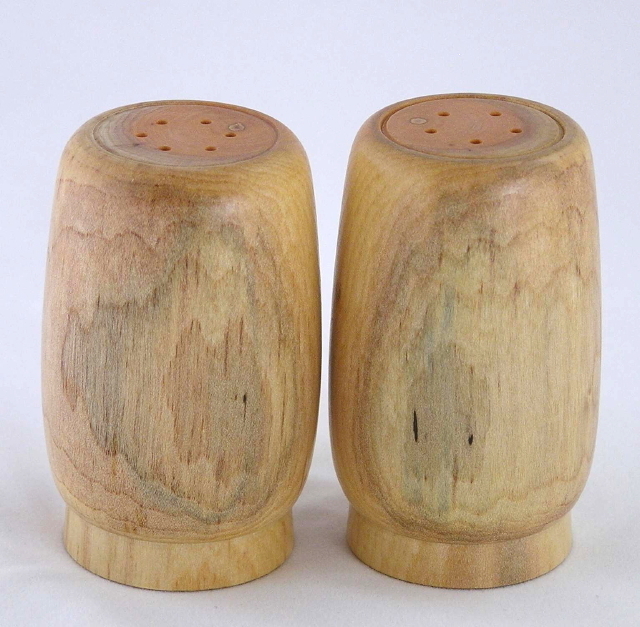 Cascara Salt & Pepper Shakers, Spalted - TT115 [TT115] : No Skew Turns, Gifts handcrafted from the world's beautiful woods. Delicate shades of lilac and blue decorate the front of these Cascara buckthorn shakers like an oriental painting. The colors are the result of spalting after the wood was harvested. The back sides, shown below, are much more subdued. 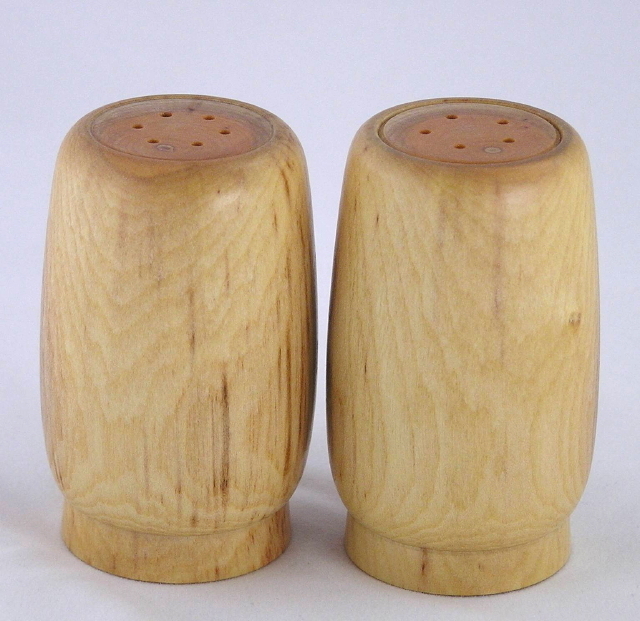 One shaker has five holes, and the other six. You choose which one holds what. They are stoppered with rubber bungs in the bottom. No finish was used on the inside. Return to the Product List for care instructions.